tecla-e is a cloud-connected assistive device giving people with upper-body mobility impairments the ability to fully access smart devices and technology. 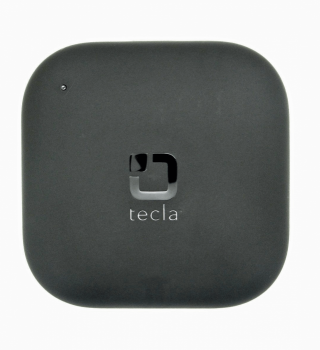 tecla-e is the newest version of Tecla. 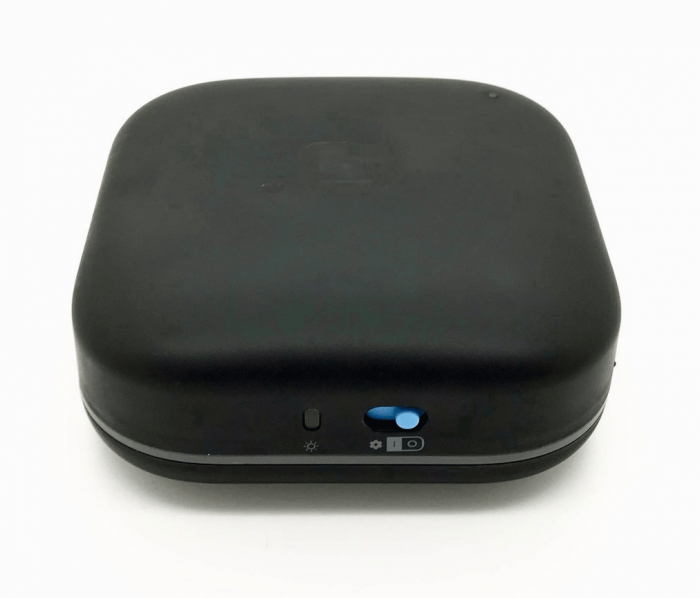 The cloud-connected assistive device provides users with control of their smart devices and environment. Communicate, control, and connect with the world hands-free with tecla-e.
tecla-e empowers individuals with disabilities who cannot independently use smartphones, tablets, computers or smart home technology with touchscreens and keyboards. This includes those with limited upper-body mobility resulting from spinal cord injuries, multiple sclerosis, ALS, muscular dystrophy, cerebral palsy, brain injuries, or stroke. tecla-e itself is a light-touch adaptive button switch that can be used to control your devices. It requires about 200 gr of force for activation. Due to the built-in radios, it should not be positioned close to the user’s head. tecla-e can control Internet-enabled appliances via its WiFi connection, this is done through smart home platforms/services. Tecla-e currently supports devices through IFTTT, devices controlled by Logitech’s Harmony Hub, and integrates with Amazon Alexa's voice assistant service. 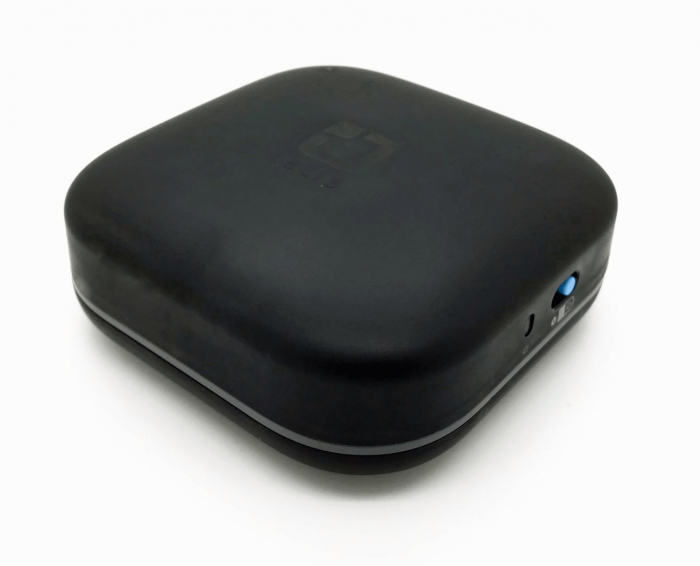 tecla-e has location, temperature, motion, and ambient light sensors. The information gathered by these sensors can be uploaded to the cloud and accessed through the Tecla apps for iOS and Android. The user can make this information available to family and caregiver who have also downloaded the app for extra peace of mind. Hardware Set-Up: You can use the app to customize how your tecla-e works and upgrade the firmware as new features and bug fixes roll in. Soft Remote: The app has a fully customizable remote, where you can create buttons for phone functions (direct dials, text messages, etc) or to control your Internet-enabled appliances with IFTTT, Harmony, and Alexa commands. Users with speech impairments can even create an Alexa text query button to access all of Alexa's skills without using their voice. 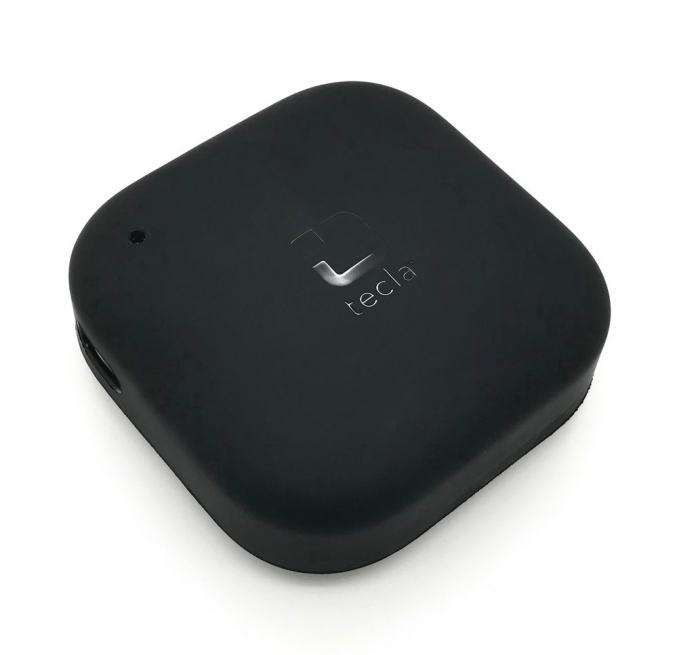 Remote Monitoring: Sensor information from the tecla-e hardware (GPS, motion, surrounding temperature and light conditions) can be accessed through the app. This information can be shared with family and caregivers that have downloaded the app and created an account. The rechargeable, long-lasting battery has up to 48 hours of continued use. 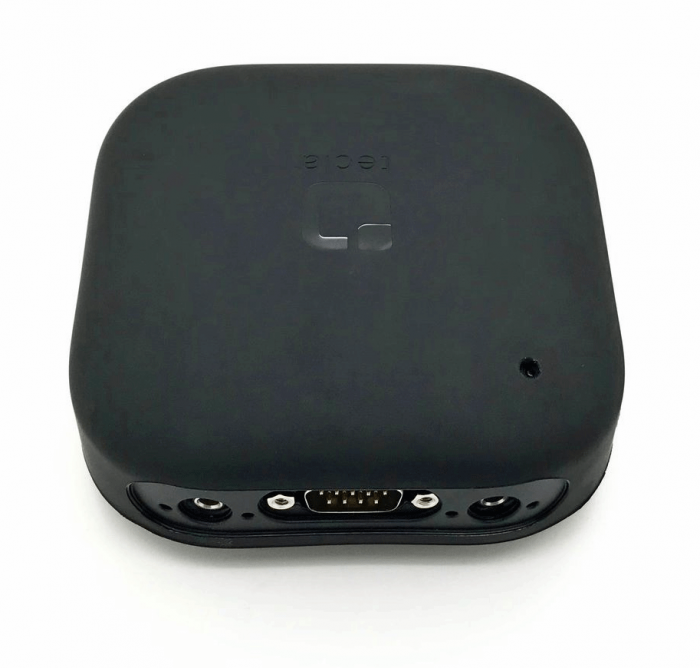 tecla-e can be charged with any standard USB-C.
Switches: You can connect two single or dual ability switches with a ⅛” or 3.5mm connector. These include jelly bean switches, buddy buttons, sip and puff switches, etc. Input/Output Module (IOM). This is an add-on for wheelchairs that allows them to control external devices. Support Article: How do I use my wheelchair driving controls to control my phone or tablet? Wireless Wheelchair Control: New wheelchair driving controls from Adaptive Switches Laboratories (ASL) wirelessly connect to tecla-e so there is no need to connect tecla-e to the wheelchair electronics. Click here to learn more about the ATOM Electronic Head Array.